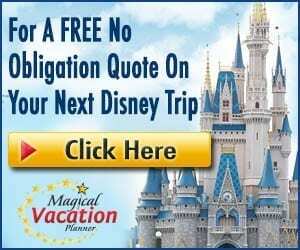 Home / Planning / Celebrations & Themed Vacations / 9 Romantic Offerings at Disney World! Love is in the air at Disney World! One of the sweetest Disney love stories has to be Carl and Ellie Fredrickson, as we watched them fall in love and plan their romantic getaway in the movie “Up”. We are reminded that life is too short… so take your honey’s hand and head to Disney World for the perfect romantic adventure. Whether the love of your life prefers beaches, mountains, Mardi Gras, Victorian-style, or a Hawaiian paradise atmosphere – Disney has the perfect resort for your getaway! Selecting an unmatched themed Disney Resort (coupled with amazing service) is the perfect way to plan for your dream atmosphere in the heart of Disney. Our favorite romantic resorts would have to be the Polynesian Village Resort, Port Orleans Resort, or the Wilderness Lodge. Go ahead! Pick the resort that appeals the most to you and enjoy your magical, romantic stay. This year we aren’t going to one of the usual chain restaurants offered at home! Nope. This year we are going to dine with Magic Kingdom’s fireworks in the distance at California Grill. We are going to taste the “grey stuff” at Be Our Guest. And better yet, we are going to spend the extra money and snag a table for two at the Five-Diamond Award winning restaurant – Victoria & Albert’s. Your sweetheart deserves it… and so do you! Your better half will absolutely love the flowers and gifts you send him/her from Disney Floral and Gifts. After picking your Disney Resort, you can order a package from Disney Floral and Gifts that will be in your room when you arrive! These are excellent surprise gifts that just give that already romantic getaway an extra special touch. Need we say more?! Yep, Disney’s Senses is the place to be for an incredible couple’s spa experience. The two Senses locations are at the Grand Floridian Resort and Saratoga Springs Resort. From massages to facials, and manicures and pedicures – in-room service or at the Senses locations – Disney has you and your loved one covered when it comes to relaxation. “I DO” – Disney style! Disney’s Fairy Tale Weddings is impossible to describe so we’ll stick with one word… UNBELIEVABLE. A wedding at Disney will be the most romantic thing you do in your entire life, so you’ll never have to worry about topping that romantic experience! Happily married already? No worries, Disney has you covered with Vow Renewal options. For all you need to know – check out Disney’s Fairy Tale Weddings. Looking for a great place to go to have your romantic date night in one place? Check out Disney Springs! From shopping, to dining, to entertainment – Disney Springs is the place to be for any couple looking to have a good time. Let your significant other pick out their own Valentine’s present at one of the many shops. For a meal, you have a plethora of table service restaurants and quick service restaurants that it’ll be difficult to choose just one! Sweet and drinks pour out of every corner at Disney Springs. 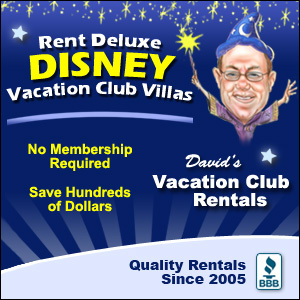 And of course – entertainment such as bowling at Splitsville, floating in the sky on Characters in Flight, or watching Cirque du Soleil are all excellent offerings. Editor’s Note: La Nuba has ended its long run at Disney Springs. That’s the bad news. 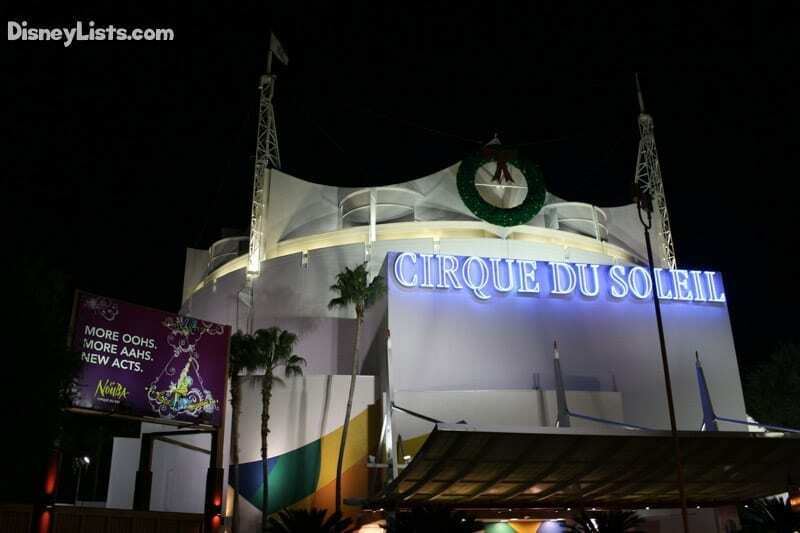 The good news is Disney and Cirque are collaborating on a brand new show that will be coming to Disney Springs in the near future. As disappointed as we were to hear La Nouba as closing, we’re sure the new show will be equally spectacular. Stay tuned for updates as show details and dates are released. Let your hair down and remember what it is about each other that you fell in love with from the start. Whether this means snuggling together in a doomsbuggy on the Haunted Mansion, soaring through the sky on Dumbo, or competing against each other on Toy Story Midway Mania – take advantage of Disney’s incredible attractions and relish being kids again! 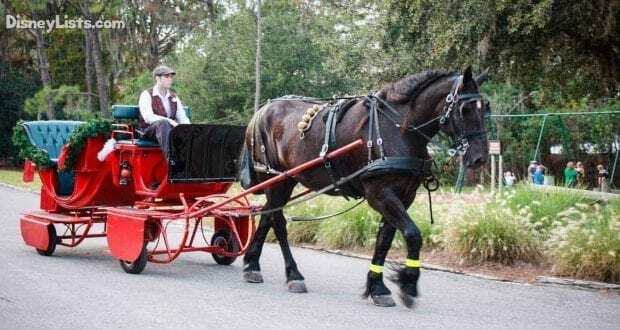 Would you prefer a romantic evening with your honey while being pulled in a horse-drawn carriage at Disney’s Port Orleans Resort or Fort Wilderness? Or, would you prefer taking a trail ride through Disney’s woods in Fort Wilderness on horseback? Whatever you may prefer, this is an extremely romantic treat for any couple to enjoy! Keep that love afloat by experiencing one of Disney’s many water activities! Be bold and make a reservation to experience one of Sammy Duvall’s Watersports available at Disney’s Contemporary Resort – such as parasailing or jet skiing! 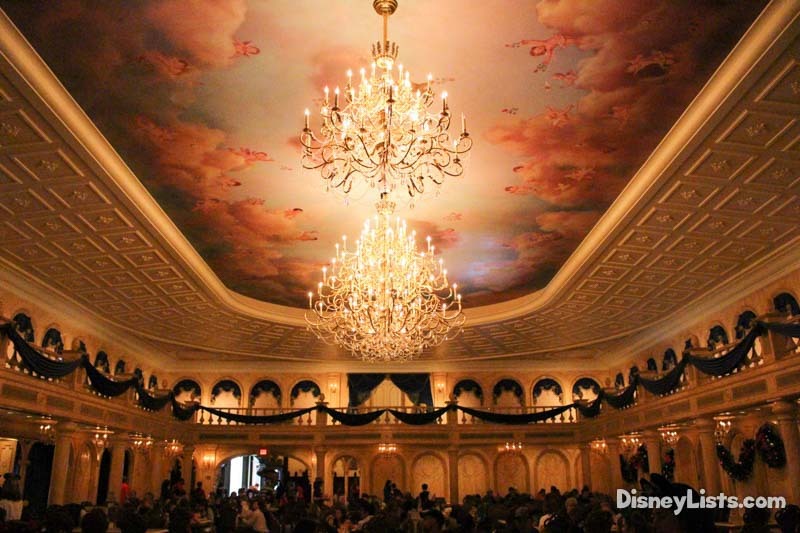 You could also take the more relaxed experience and board The Grand Floridian’s Grand 1. What is the Grand 1 you ask? Only a 52-foot yacht that exudes elegance as it provides guests (up to 18 people) a view of Magic Kingdom’s fireworks! Well, love birds… in the words of Ellie Fredrickson – “Adventure is out there”! Plan today to make tomorrow something spectacular!